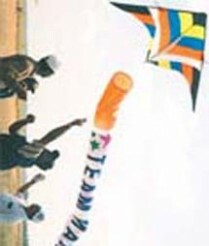 Team Mangalore has participated in a number of International Kite Festivals in addition to participating in the State Level Kite Flying Competitions. 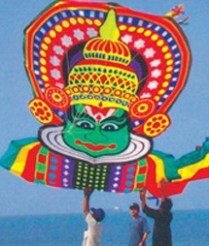 This kite is modelled on 'Raja vesha' (costume of a King) in the popular South Indian folk dance-drama, 'Yakashagana'. 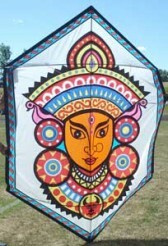 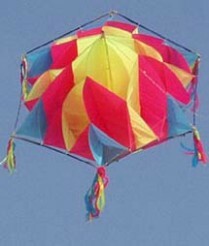 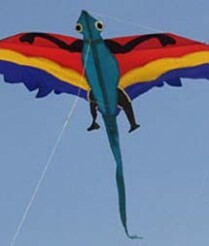 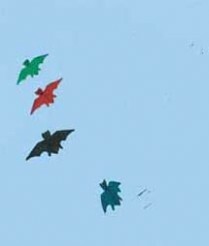 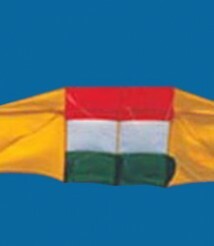 This Kite is modelled on the famous dance form of South India. 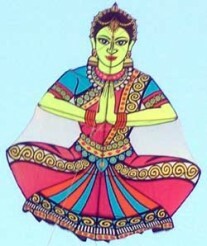 It depicts the posture of an Bharathnatyam dancer. 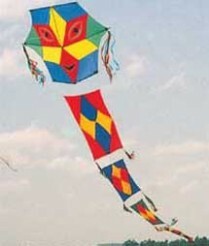 Gajendra, This Kite is modelled on Elephant . 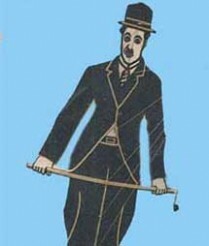 Artisitic look has been given to the face of the elephant. 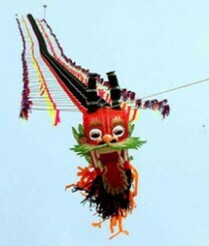 80 Kites (plates) tied in a series to the Dragon head. 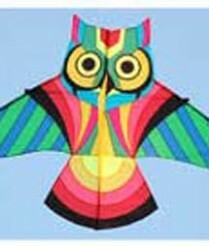 Another kite with a cultural background. 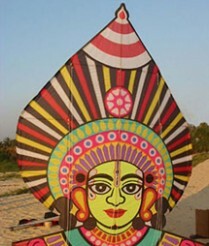 It depicts the local ritual of Spirit Worship among the natives of Coastal Karnataka. 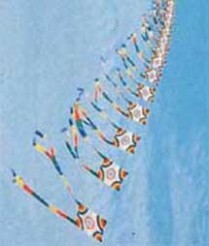 90 Kites of korean style tied to a single Kite line in a series. 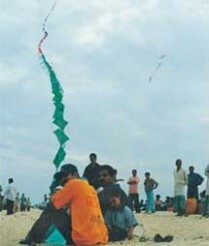 400 traditional Indian fighter Kites tied to a single Kite line in a series. 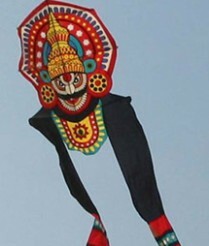 This kite is modelled on 'Raja vesha' (costume of a mythical King) in the popular South Indian folk dance-drama, 'Yakashagana' (Badaguthittu style) . 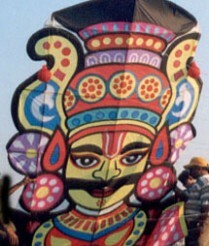 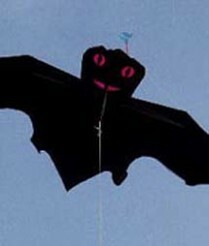 This Kite is modelled on the 'Rakshasa Vesha' (Demon Costume) of Yakshagana.